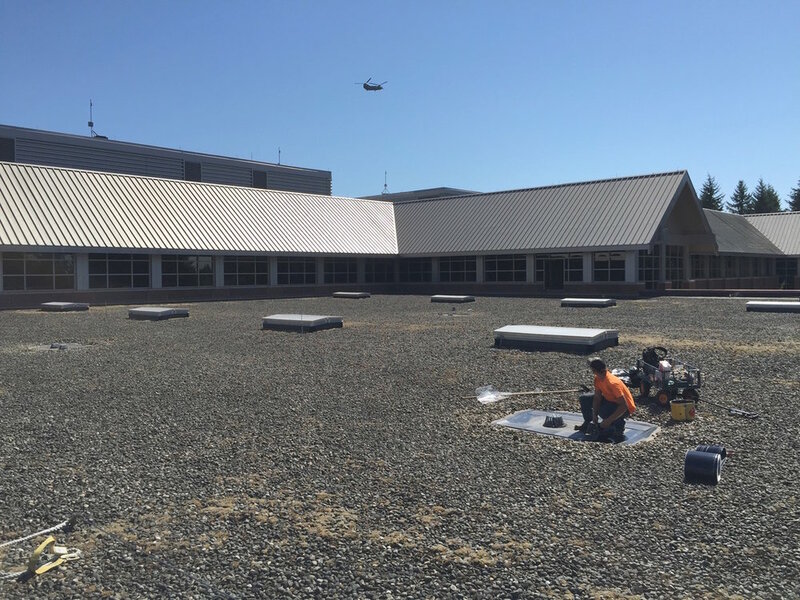 January 03, 2018 / Preferred Roof Services Inc.
State Farm in DuPont selected us, Preferred Roof Service, Inc as their commercial roofing contractor of choice for their DuPont warehouse repairs. The existing roof when we arrived on site in DuPont was a gravel roofing system with leaking drains and walls. The warehouse had 30 commercial cast-iron bowl drains that were failing and leaking. We went through and repaired the thirty drains with EPDM membrane as well as added 750 feet of EPDM to repair the leaking walls of the warehouse. The commercial cast-iron bowl drains that were failing and leaking over time will lead to attic mold and rot between the layers of insulation in the interior of the warehouse. As an expert commercial roofer, we knew exactly how to repair this leakage. Our expert technicians cleaned and resealed the drains and then put a new sheet of EPDM around each drain to prevent future leakage. 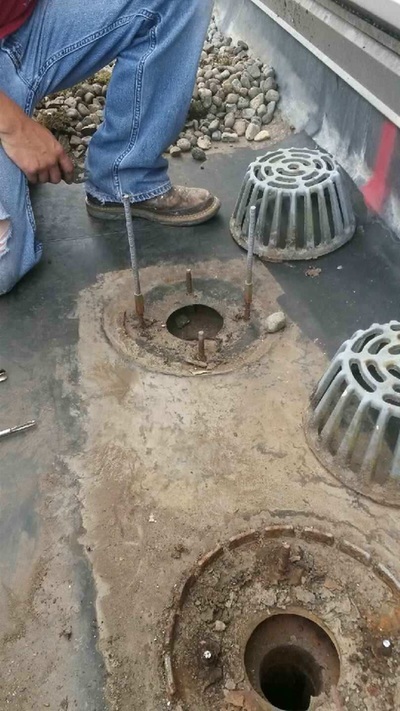 For the wall repair, we removed the coping metal and then covered it with a layer of EPDM to prevent any more leakage and then replaced the coping metal over the EPDM. We used all proper sealants to ensure in the future the EPDM would not fail in preventing leakage. Call us at (253) 318-8918 to schedule an appointment today or Click below for your no commitment estimate! Receive a Free Roof Valuation today!